PCM Carpentry - Renovation Specialists! 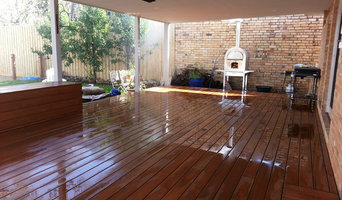 Specialising in custom home renovations, PCM Carpentry Australia is a family owned and run business located in the eastern suburbs of Melbourne, Victoria. Our clients love that we manage your renovation from start to finish, providing all trades to save you having to get quotes from different tradesmen and the headache that comes with it. 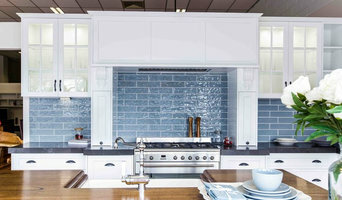 With qualified tradesmen and quality suppliers on hand, you don’t need to worry about a thing. Sit back, relax and allow the experts to do all the hard work for you. 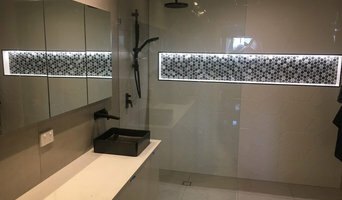 Barry (Owner and Head Carpenter) brings a wealth of experience to your project due to his extensive industry experience, skills, quality workmanship and professionalism having worked and Supervised for bulk builders, residential maintenance companies, kitchen and bathroom renovation companies and various other trades. As a fully qualified Carpenter with over 20 years experience within the building and construction industry, Barry takes pride in his work and reputation. Offering quality home renovations and property maintenance services to residential and commercial clients as well as Real Estate Agents and vendors, we provide services from mounting of TV’s, clothes dryers, hanging doors, adjusting and changing over of door handles, window winders, tap washers, patching and painting, plastering, tiling, repair and fix, build fences, decks and pergolas to large scale home renovations and much more… PCM Carpentry is a Master Builders Association Victoria (MBV) member. We keep up-to-date with regulations, latest products and materials available as well as best practices to make sure your project is completed to industry standard, on budget and within time frame. PCM Carpentry operates out of Melbourne, Victoria and services the Eastern suburbs from Richmond to the Dandenongs, Eltham to Frankston. Book in your Consultation today and one of our renovation specialists will visit your premises to help you design your space, giving you advice and recommendations on how best to customise and renovate your space. You are then provided with a detailed written quote and once accepted, we get started managing your project from beginning to end. Get in touch today to get started. Get Andy provides cost effective improvements in the quality of life of our customers through creative problem solving and the use of quality, sustainable and environmentally friendly materials. All Get Andy staff and sub-contracted trades people are dedicated to their craft and are committed to quality outcomes. TCON Group is a leader in providing value-enhancing construction services to our customers by creating successful relationships with them throughout the entire construction process. Our pledge is to establish lasting relationships with our customers by exceeding expectations and gaining their trust through exceptional performance by every member of TCON Group. 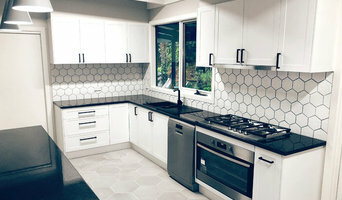 J & S Hammertime Carpentry specialise in Home Renovation and Improvements. We cover all aspects of carpentry from bathrooms, kitchens and living renovations to outdoor decks, verandas and entertaining areas. We also do new developments and project management. We consult with clients every step of the way to design and construct the perfect project and pride ourselves on providing customer satisfaction. We stand by our brand and always say there's "no job we can't touch". A Melbourne based building company with a focus on high end architectural construction. We have a passion for bespoke carpentry and building. A shared passion for carpentry led to Nigel and Tom creating Natural Build, both bringing with them different elements and experiences to form a strong and reliable team. Our journey has allowed us to experience our industry in many different forms: - Small scale domestic renovations and extensions - Complete restorations - New homes and multi unit developements - Architectural and custom works - Commercial projects including schools and hospital works - Commercial fitouts - Joinery and shopfitting - Bespoke furniture and woodworking From larger scale multi-unit developements, to small renovations, Natural Build can be an integral part of any project. ROKK Carpentry is a small carpentry business based in Sth east of Melbourne which is owned and operated by myself Craig Spain. I set up ROKK Carpentry in order to help homeowners and small businesses with carpentry and maintenance of their properties. Being in the industry for so long I realized there was a need for an “affordable” tradie. One that you can rely on. Let’s face it; there is a lot of unqualified, unreliable and over priced “tradies” out there. That’s why you need ROKK Carpentry. Working in the industry for over 14 years, and having worked for some extremely reputable construction companies, I have acquired the knowledge and expertise to confidently cater for an extensive range of customers’ carpentry needs and visions. My qualifications include certificate III in carpentry, diploma in carpentry, and a building certificate in kitchen fitting. I am also a member of ‘Housing Industry Australia’ (HIA). My passion is to create. From an early age I’ve been interested in design and construction, and owning my own business has enabled me to use these talents to benefit my clients. I always ensure customer satisfaction and I will work alongside you to ensure this occurs in all aspects of your job. Warren Charles Carpentry Constructions provides a comprehensive range of building and carpentry services for residential and commercial properties throughout Doncaster and surrounds. From new home constructions to renovations, extensions and general building repairs and maintenance, our experienced team has got you covered. Thanks for stopping by. 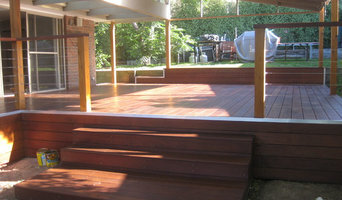 We are a small carpentry business that specialises in outdoor projects and feature fencing. We like to think of ourselves as traditional tradesmen who always strive to provide a high quality finish that we can both be proud of. If we sound like a good fit for your project give us a call. Servicing Melbourne's Eastern & Bayside suburbs. The work of carpenters in Craigieburn, Victoria is wide and varied, so many choose to specialise in a particular line of work. Any qualified carpenter in Craigieburn, Victoria should be able to perform general carpentry work involving framing and the installation and repair of timber structures and fixtures, while other jobs may require a specialist. Scroll through this page to find carpenters and woodworkers in Craigieburn, Victoria. You can browse their latest projects, read reviews and see how other homeowners rate their work, and message them directly.